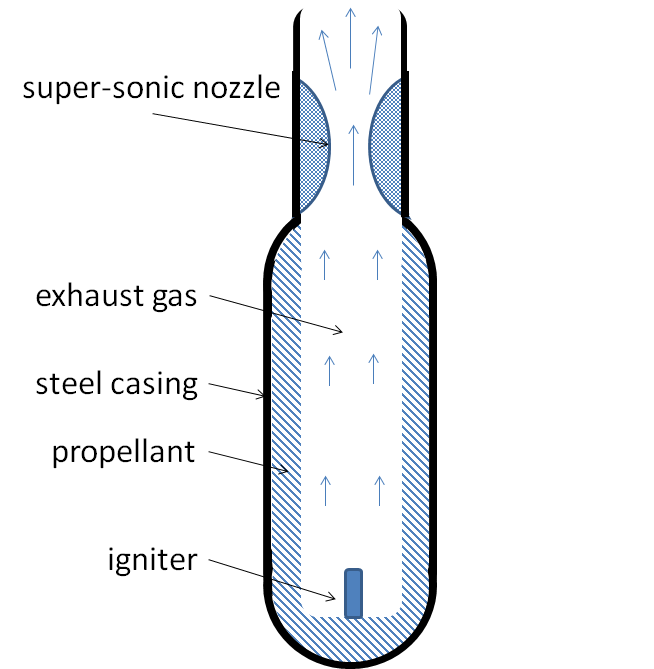 The burning of the propellant in the combustion chamber results in increased temperature and pressure of the surrounding gas. In addition, as propellant is burned, the flow domain increases. It is of interest to predict these changes in the flow because the dynamics (e.g., trajectory and velocity) of the rocket depends on them. To account for the changes in the size of the flow domain, a variant of the General Moving Object (GMO) model has been developed. 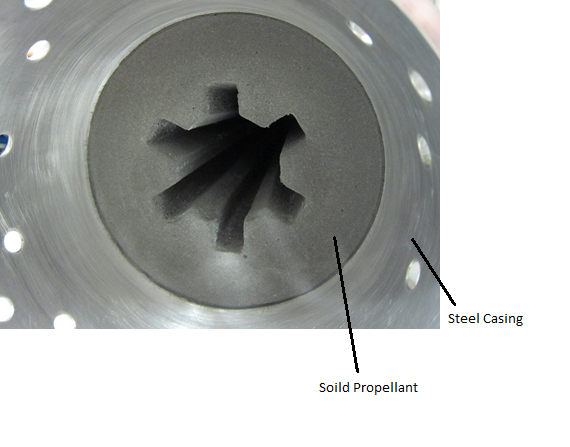 In the augmented model, the geometry component representing the solid propellant is designated as a GMO component of a special type: instead of moving, it changes shape and size. Such deformation of a combustible part can be seen in Simulation 1. 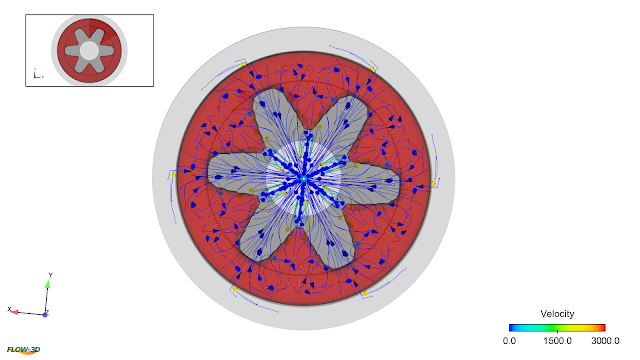 If the elastic stresses within the solid propellant need to be modeled, the Fluid-Structure Interaction model will work with this new development. Simulation 1. Deformation of the combustible component and the evolution of pressure over time.